ModSquad hires home-based contractors to moderate forums, chat with customers, manage communities, and create buzz in social media. You select the projects you want to work on, and set your own schedule. “The Mods are a talented network of independent professionals who bring skills, finesse and experience to help companies and organizations engage their audiences across all digital channels, like forums, helpdesks, games, virtual worlds, email, VoIP, live chat and social media. From content moderation to customer support and community management to social media services, the Mods do it all, and more. What is required from a technical or business setup to be a Mod? For starters, you’ll need a computer, secure internet access and a workspace that is private, secure and noiseless. Then each project has specific requirements for skills and equipment. There are no surprises; we share project-specific requirements in advance of Mods’ choosing the project. How do you determine if there is a fit or not in the Mod network? How much can I make as a Mod? While a pay range isn’t listed on ModSquad’s site, we’ve heard from current Mods that it’s $8 – $12 per hour, depending on the project you’re working on. To go straight to the job, click here. 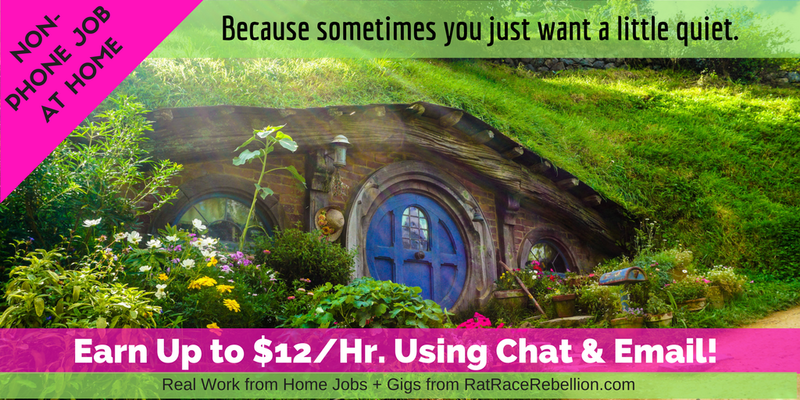 This entry was posted in Work at Home Jobs and tagged ModSquad. Bookmark the permalink.